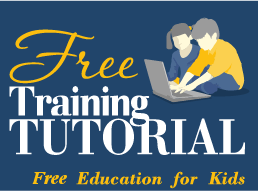 This website was created to offer teachers, educators and homeschooling parents free high quality online activities for their kids and students - whether games, tutorials, lessons, tests, or just fun interactives. I've devoted the last years to create new engaging learning materials, as well as thoroughly search and review a lot of free web resources for elementary school (especially 2nd, 3rd & 4th grades) and for middle school too. You can therefore find a huge assortment of free online math games, many of which I've programmed by myself (ie. place value, rounding, skip counting, addition, multiplication and more). A quick question - do you still type with your index fingers? Might you be interested in some typing practice? This might be the time to get started: Along with a few tutorials, you will find a huge section of typing games, enabling you to practice and improve your typing abilities not with boring random letters, but with fun, dynamic and challenging games. There are also language arts online activities, including games to practice spelling, many crossword puzzles for kids (originally and unique to this website), and also unique word search puzzles. These activities aim to enhance the child's vocabulary as well as spelling skills. You can also learn and self practice all the basics of Excel - you can find a full video course, along with textual examples and illustrations. The level is suited for the very beginners - and goes gradually up to experienced Excel users. Free Microsoft Word tutorials (videos, texts and illustrations) are presented as well. The learning resources on this website are usually used by teachers to complement the materials taught in class, and by homeschool parents wishing to engage their kids with online educational interactive activities and games. I hope that you have a pleasant learning experience, and I hope that I succeed just in a tiny bit to bring my vision of "Free Education for All" into reality.